Capable of charging just about any cellphone, tablet, GPS or camera. The BikeMaster® USB Charger Kit can be mounted to almost any surface with tape, zip ties or screw (mounting hardware not included). 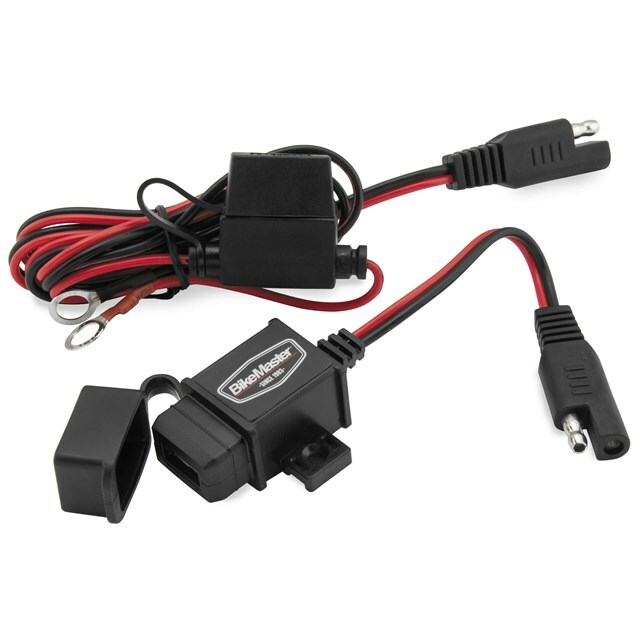 The charger kit includes SAE quick connectors to connect to existing battery charger lead with an input of 12-24-Volt DC, output of 5-Volt, 2.1-Amp (3-Amp max). The charger also has a quick disconnect to plug in whenever you need it.